Life Senator Sergio Pininfarina, Honorary Chairman of the Pininfarina Group, passed away last night at his home in Turin. Until the last moment his wife Giorgia and sons Lorenza and Paolo were close to him. The Board of Directors and the company have gathered around the family in the undying memory of the entrepreneurial figure of Sergio Pininfarina, who led the company for many years with steady hand bringing the business in the world, following the tradition of elegance and style constantly renewed with the highest standards of innovation and harmonious beauty. Among the most significant stages of his activity in Pininfarina: from 1955 to 1958, the planning and the construction of new facilities at Grugliasco (Torino); the construction of the new Studies and Research Centre inaugurated in 1966; in 1972, the Wind Tunnel on 1:1 scale started its activities, the first in Italy and one of the few in the world; in 1979, Pininfarina took the form of an holding Company; in 1982, a new company “Pininfarina Studi e Ricerche S.p.A.” was settled at Cambiano (Torino); in 1986, a new plant in San Giorgio Canavese - near Turin - started operating; in the same year, Pininfarina successfully entered the Italian Stock Exchange; in 1986, with the setting up the company “Pininfarina Extra S.r.l.”, the Pininfarina Group enlarged its design activities towards all the areas of the industrial design, beyond the traditional one of the means of transport; in 1987 a new plant in Bairo Canavese is acquired; in 1991 “Pininfarina Deutschland GmbH” was set up; in 2002 it is inaugurated in Cambiano the new Engineering Centre; in 2003 the incorporation of the new Company “Pininfarina Sverige AB”. Main past positions include: From 1974 to 1977 he has been professor of “Car Body Design” at the Polytechnic of Torino. 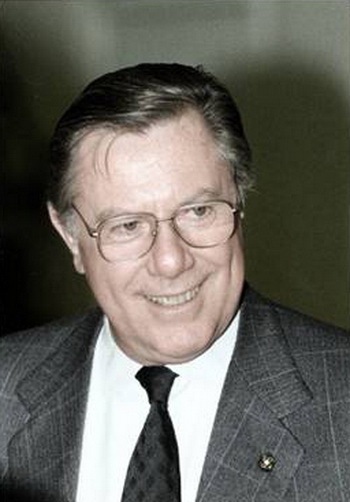 President of the Industrial Association of Torino (1978-1984); Member of the European Parliament (1979-1988); President of the Federation of Industrial Associations of Piedmont (1983-1988); President of International Organisation of Motor Vehicle Manufacturers (1987-1989); President of Confindustria (1988-1992); Board Member of AUME (Association for the Monetary Union of Europe, 1989-1997); Vice President of UNICE (Union of Industrial and Employers’ Confederations of Europe, 1990-1994); President of Comitato Leonardo - Italian Quality Committee (1993-1996); Co-President of “Comitato per la Direttrice Ferroviaria Europea Transpadana” (1991-2001); President of Banca CRT (2001-2002); Chief of the Italian delegation in the Intergovernmental Italian- French Commission for the new high-speed railway link between Lyon and Turin (2001-2005); Chairman FIDIA S.p.A. (1996-2006); Co-President Italy-Japan Business Group (2004-2007); Chairman Editrice La Stampa S.p.A. (2004-2008); Member of the Board of Directors of Ferrari S.p.A. (1969-2011).